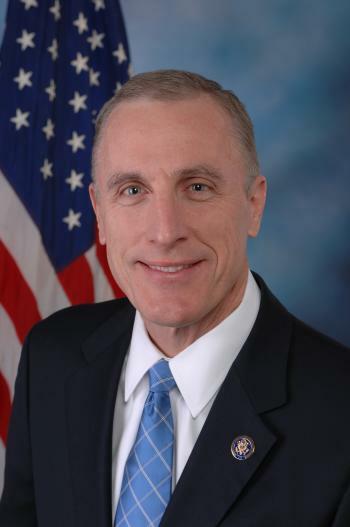 Rep. Tim Murphy will start 2012 with a serious war chest, his campaign announced Tuesday morning. The incumbent Republican boasts slightly over $1 million on hand and brought in $264,000 during the fourth quarter of 2011. “Congressman Murphy is extraordinarily grateful for the support he has received and is going to keep working on cutting federal spending, repealing Obamacare and getting this economy moving again,” said Murphy campaign manager James Genovese in a statement. Murphy is facing a challenge in the Republican primary from Evan Feinberg, a former staffer to Sens. Tom Coburn and Rand Paul. Feinberg recently released his own fundraising numbers, and has some catching up to do. He brought in $50,000 from 45 donors and has $40,000 cash on hand – a million less than Murphy’s $1.044 from 586 donors. Feinberg blasted the news and continued to hammer Murphy for his support of labor. “Doing the bidding of Big Labor and special interests may be an effective fundraising strategy, but it’s a bad deal for the people of Western Pennsylvania and the reason Congress has a 9 percent approval rating,” he said. Murphy’s campaign said about 3 percent of his total raised in the 4th quarter and 6 percent in 2011 overall came from labor groups – mostly building trades. On the Democratic side, only one candidate has announced a run so far: Washington County Commissioner Larry Maggi. His announcement, in January, means he won’t have to release numbers until right before the primary. Evan…. Get lost. Go back to a right-to-work state and shine rand paul’s shoes.